Edraw Network Diagram enables network and system administrators to plan, create, and maintain their networks by providing a clear and detailed graphic representation of their Windows network structure. Managing a computer network today is no small task. In addition to controlling access to printers and files over the network, most administrators must also manage security and access, optimize traffic flow across Local Area Networks (LANs) and Wide Area Networks (WANs), coordinate repair and maintenance of network equipment, and oversee data backup, storage and recovery. 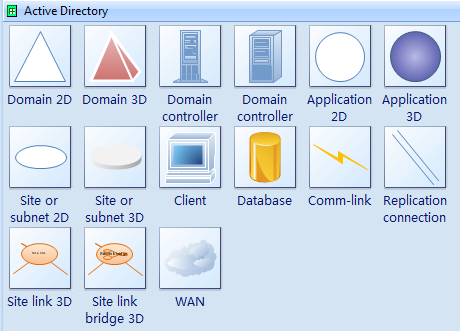 Directory service applications, such as Active Directory, provide a central location for managing network assets, such as domains, computers, users, groups, and so on. Active Directory organizes those assets into a hierarchical tree structure, which is typically viewed in a small window with expandable/collapsible icons, much like Windows Explorer. Just drag and drop pre-drawn shapes, double click and set the data. The Directory Services solution provides administrators with clear, detailed representations of current and proposed directory structures, which can be viewed, printed and presented to management for planning new networks, coordinating migrations, and for documenting existing networks. Construct an easy-to-view network topology map that lets one choose the network's seed device and preferred network layout type. Share network diagrams across peer groups in no time by exporting to other commonly-used formats like MS Word and PDF. The strength of Edraw lies in its ease-of-use. You don't need to be a graphic artist or have years of experience with complex graphic software packages to create directory services diagrams. You just simply drag and drop from a stencil of shapes onto the drawing page. 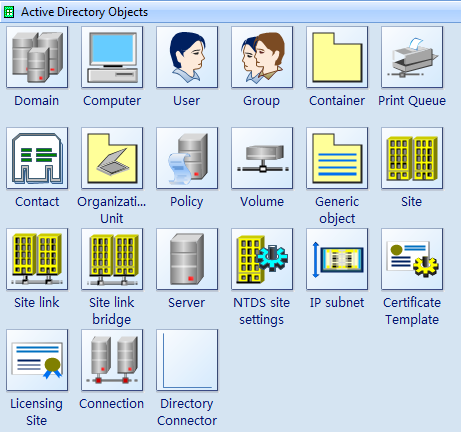 The Active Directory Objects stencil includes standard security shapes such as groups and users. 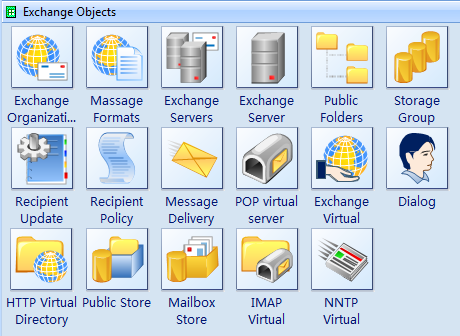 The Exchange Objects stencil contains mail, Post Office Protocol (POP), and Network News Transfer Protocol (NNTP) shapes you can use to model everything from an Exchange server setup to any common mail server. A typical directory service application interface showing the hierarchy of directory objects. 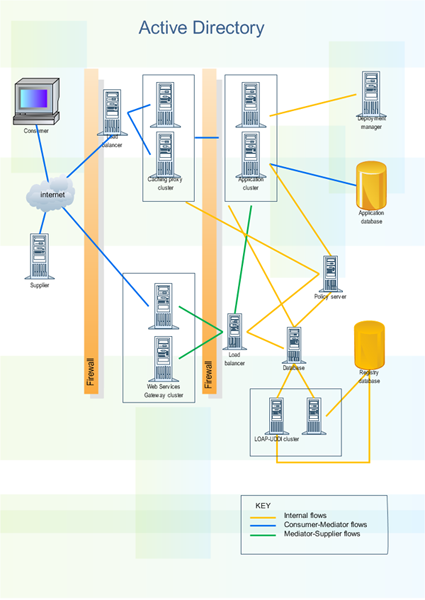 Free download Edraw Network Diagrammer to review more examples of Active Directory services diagrams. An active directory diagram helps you with inventorying an Active Directory configuration and reading your Active Directory structure more easily.